Hummer Parts Guy (HPG) is a brand that supports ONLY the H1 and Military Humvee. Our company consists of real-life technical support experience, an AM General genuine parts store offering new & discontinued parts and future H1 related services that customers have been asking for. 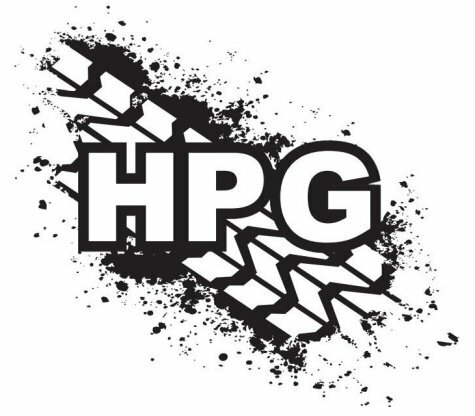 HPG is a family run business that started in our garage in 2008. When the Hummer parts eventually started taking over the kitchen, dining room and basement, we moved into our first location...then our second location...then our third location and most recently expanded into a 12,000 square foot warehouse full of H1 parts. We source parts direct from AM General, have access to Tier 1 OEM Suppliers and specialize in hard to find or discontinued parts that are no longer available. First and foremost, I am a proud owner of a 1996 Hummer. Many years ago I had a miserable time finding genuine parts, and even a harder time finding somebody who could "speak" Hummer without guessing at part numbers out of a catalog. Over the years of helping owners and working on my own "adventures" with the Hummer, my experiences developed into starting a company that could give owners honest and reliable help. I have a profound knack of knowing the parts you are talking about based upon descriptions, troubleshooting issues or providing help where needed...I can remember how to take apart a geared hub, rebuild a transfer case, troubleshoot a non-starting engine, explain how to fix a leaky CTIS system and various other issues but I cannot ever remember what I ate or wore two days ago. So my loss not remembering the awesome food my wife makes is your gain because I remember all things Hummer and odds are very good that I know what you are talking about. I have taken apart my Hummer, rebuilt each component and serviced thousands of phone calls and emails from all over the world helping owners through problems, techy issues or speaking with their mechanic on how to fix something. Our customers range from new owners looking for first time advice, former Hummer dealerships wanting help and seasoned owners looking for some guidance with problems they are having. It is common to have an owner stuck on the side of the road or in their driveway holding up their phone to the engine asking for help. Should the engine make this noise...should there be oil here...is that a good or bad smell? This is what we do and I am very proud of what I can offer Hummer owners. Do I have all the answers...no of course not...but I will give you honest feedback and help point you toward another solution if I don't have an answer for you...even a competitor. I am proud of the fact that HPG still retains the small family owned personalized service where our roots started from. We grew from loyal customer experiences, owner recommendations and word of mouth. I invite you to ask us how we can help you keep your Hummer H1 on, or off-road...whichever you prefer.